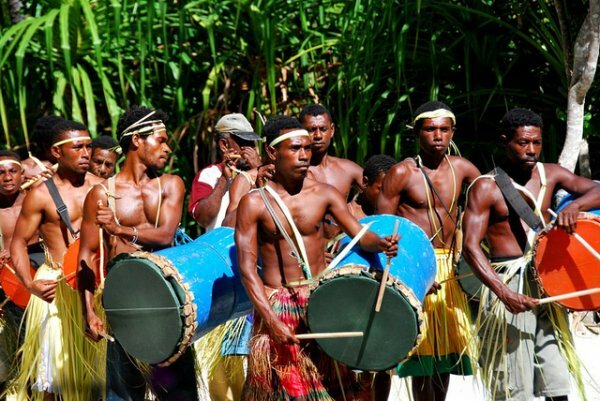 Manasseh Sogavare, the Prime Minister of the Solomon Islands, is urging fellow Pacific Nations to help West Papuans in the struggle for their human rights and self-determination under Indonesian rule. Along with officials from Papua New Guinea and New Zealand, Solomon Islands PM Sogavare has previously spoken at the UN on this issue, and diplomat Barrett Salato addressed the UNHRC earlier this year on the same topic. Sogavare founded the Pacific Coalition on West Papua (PCWP) as a forum for Pacific countries to support West Papua. Prime Minister Manasseh Sogavare has said Pacific Islands nations have a duty as closest neighbours to West Papua to address issues of concern to West Papua. He said this is crucial due to the fact that West Papua’s right to self-determination – a fundamental principle of the United Nations Charter – has been denied for the last 50 years. Mr. Sogavare said this is equivalent to the rights to life and dignity being denied as a result of their pursuit of self-determination. Meanwhile, Mr. Sogavare who is also Chair of the Melanesian Spearhead Group (MSG) re-emphasizes, the intention of the Pacific Coalition on West Papua (PCWP) is perfectly in line with the principles of human rights and democracy, the very basis of the UN Charter, which all UN Member states should adhere to and protect. Prime Minister Sogavare added that only by working together and strategically dealing with the issue of West Papua, PCWP can accomplish the objective of its mission.